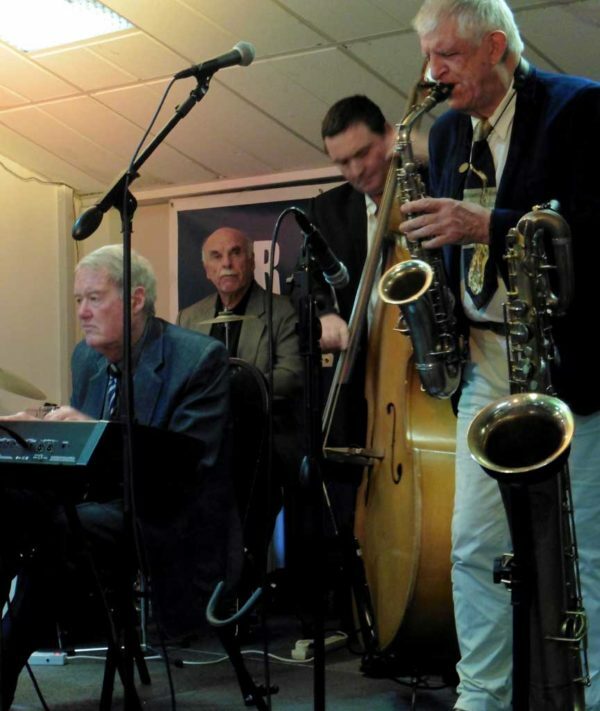 Regulars on the Auckland Jazz scene, the Joe Carbery Swingtet are also a popular attraction at the Bay of Islands Jazz and Blues Festival, where Joe has been honoured with life membership. The Joe Carbery Swingtet plays in the style of the small groups of the Swing Era but is firmly in the present - "Modern Traditional Swing Music". Ellington, Basie, Johnny Hodges, Eddie Condon, Louis Armstrong, Louis Jordan, Fats Waller, Louis Prima and Gerry Mulligan are just a few of the influences that may be heard in the music of the Swingtet. The swing repertoire is leavened with Latin American rhythms - what Jelly Roll Morton called "the Spanish tinge." Founded on a solid rhythm section of pianist John Wilcox, bassist Stuart Lawrence and the Jimmy Gibb on drums, with Joe Carbery on alto & baritone saxophones, clarinet and vocals. Do join us for a relaxed afternoon of great music and dancing. • Please note that there is NO January meeting, due to so many people still away on holiday. • All subscriptions are due in March 2017. Please grab a renewal form from the web page hjs.org.nz/join or from the desk. Early payment will help our funds over the lean holiday time. • Please give some thought to joining the HJS committee for 2017, to replace retiring members. If you are interested, contact our president, Simon Hopewell president@hjs.org.nz, or another committee member.